Anoka, Benton, Carlton, Carver, Chisago, Crow Wing, Dakota, Goodhue, Hennepin, Isanti, Kanabec, Le Seur, Mille Lacs, Morrison, Pine, Ramsey, Rice, Scott, Sherburne, St. Louis, Washington & Wright. 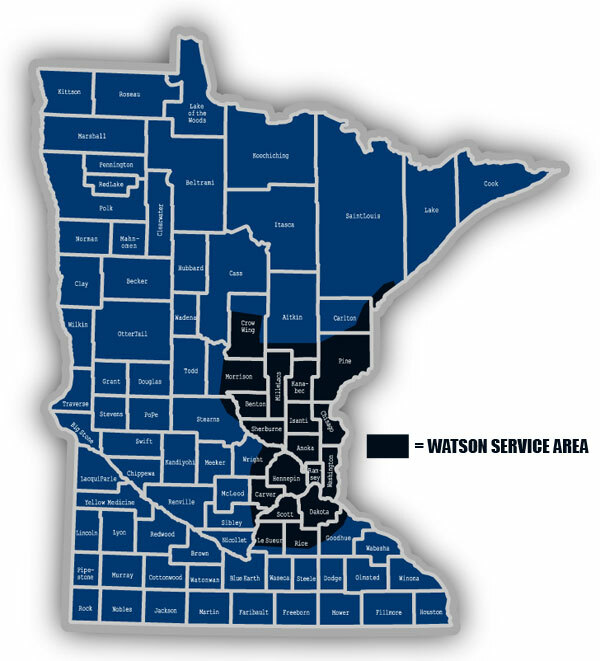 Not sure if we service your area? Give the office a call at 763-689-4766 or 1-800-456-1607.